Lex Machina is one of the most well known of the new breed of legal tech companies making use of natural language processing (NLP) and machine learning to help lawyers. The fact that it is part of legal publishing giant, LexisNexis, has no doubt helped in this regard. But, what does Lex Machina actually do and how did it get to where it is today? Artificial Lawyer caught up with California-based CEO, Josh Becker, to find out more about how the AI legal analytics company got started and how it has evolved. The first thing to note is that Becker is not one of the original founders of Lex Machina. In a world where so many of the legal tech start-ups are still led by their original creators, non-founder CEOs usually indicate that the company has moved well beyond the world of parents’ garages and co-working spaces. This is certainly the case with Lex Machina, which actually got started as far back as 2007, a decade ago. Meanwhile, Becker, who has considerable experience in venture capital and technology companies joined in 2011, long before most lawyers had even heard of ‘legal AI’ let alone started to meet companies working in that space. Becker begins the story in the mid-2000s when many big tech companies had started to experience a new legal phenomenon, Patent Monetization Entities (or PMEs also called ‘Patent Trolls’), i.e. individuals or companies making claims against established companies on the basis that one or more of their patents could be challenged in order to extract monetary damages. Rather than fight a long and costly battle many of the tech companies were simply settling. Or, when they did go to court, they ended up in a hostile local court in Texas where a David vs Goliath story would be spun to great advantage, often resulting in further losses and a win for the troll. Perhaps because they were tech companies the idea was proposed that there could be a legal tech solution to help companies better prepare and defend themselves from IP-related claims. 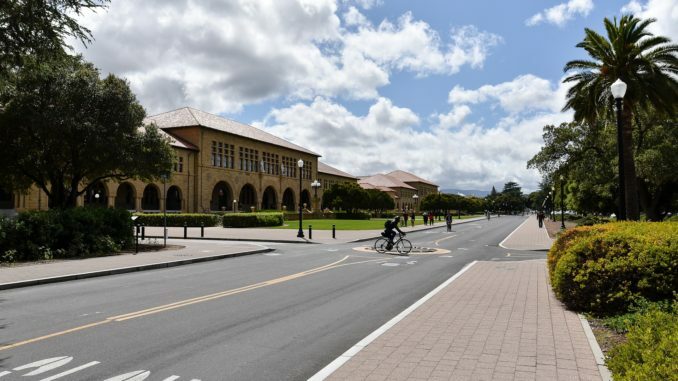 The tech companies partnered with Mark Lemley who ran the Law and Technology program at Stanford (pictured above), the West Coast alma mater of so many tech company founders. Mark brought in Josh Walker and then George Gregory to assist. The companies raised $3 million and what was then the ‘Intellectual Property Litigation Clearinghouse’ was created. The group therefore combined the big tech names with legal academics and then were joined by the top Stanford NLP and Machine Learning experts, Chris Manning and Andrew Ng. The IPLC’s job was to collect data on patent litigation so that it could be studied and help to fight back against the patent trolls. Becker notes that this was an unusual venture for the California start-up scene. Becker adds that beyond the issue of patent trolls, the broader problems with the law were apparent. Primarily there was a problem with the law being a very opaque market. Buyers knew very little about sellers, sellers knew little about buyers, and neither had much data about judges. The system of justice relied on reputation and ‘anecdata’. ‘No-one was keeping score,’ says Becker, in reference to litigators. But, if people could get hold of the data, the actual court filings and other connected information, and then conduct analysis using NLP and machine learning, then everything could change. Real transparency could be introduced to the legal market and that had to be a good thing. The big tech companies certainly liked the idea. From their point of view it would help them to defend themselves. Of course, the story would become much more than that and seek to encompass a far wider group of clients. The project eventually outgrew the academic idyll of Stanford and span out in 2010 into a separate company; what would then become Lex Machina. Becker adds that after some initial success with data analysis the realisation was ‘what we had was almost useful, but much more had to be done to truly help lawyers make data-driven decisions’. They also found that even state of the art NLP technology couldn’t accurately parse through all the legalese in court documents. Perceiving what ‘dismiss’ meant in the context of each document or figuring out when a motion had been filed and who had actually written that motion needed a more bespoke legalese NLP. They would have to create their own. They would need more money and even more work to be done on making that data meaningful. This is where Becker joins the story, becoming CEO in 2011 when they had a few paying customers. All the code was eventually re-written, more money was raised and generally what started out as an experiment became far more of a going concern. The NLP they came up with also received its own brand name ‘Lexpressions’. Getting the NLP software to understand legalese was challenging enough, but the other big problem was acquiring enough legal documents. All US Federal court documents are held by PACER, for example, but to buy enough of them for their new Lexpressions engine would cost tens of millions of dollars. At a time when Lex Machina was looking to grow and needed access to documents, they could see that LexisNexis already had many millions of legal documents at hand. The legal publisher also was branching out into making more use of the data it had collected over many years by employing better technology. A deal just made sense. And so, in November 2015, LexisNexis bought the West Coast venture, making it one of the first – if not the first – acquisition of a legal AI company. Moreover, this happened before most of the legal market had even started to get familiar with AI. But then, Lex Machina had always had a very different storyline to most other start-ups. And, as noted, today it is 10 years old, making it the granddaddy of legal tech companies. So, what now? Becker notes that Lex Machina now provides analysis of court and litigation data across five areas, including securities and antitrust litigation. He adds that there will be several other expansionary steps in the months to come in terms of new areas of law. Lex Machina has clearly come a long way and is now part of a growing market of litigation analysis platforms that include other legal AI companies such as Casetext and Ravel. A new chapter is therefore unfolding and new battles are on the horizon, but this time perhaps one more about market share. But, before we end, Artificial Lawyers asks about the legal tech Accelerator that LexisNexis announced last year, which will be working closely with Lex Machina out in California. How is that going? Becker says that there are three or four young tech companies that they are in talks with, but cannot say who yet. He adds the Accelerator team has a lot to offer. 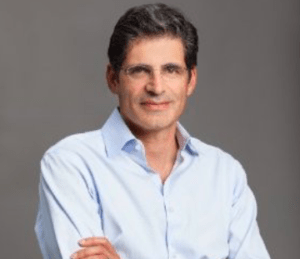 First there are his VC skills that he honed before joining Lex Machina, while he also remains close to many investors and is a Vice President with the Stanford Angels and Entrepreneurs. Then there is the point about many legal tech companies needing access to data and documents, which LexisNexis has servers and servers full. And, Becker, notes they remain close to Stanford University, where he also studied when he was younger, for a JD in law no less, although he never became a practising attorney. ‘We know how to market technology to law firms and companies and we can share with start-ups a lot of our learning,’ Becker concludes. Now, perhaps fittingly, Lex Machina finds itself no longer the experimental start-up it once was, but instead the highly-experienced legal tech company dishing out advice to new comers. This is a further sign of just how much the legal AI market is growing. And it’s only just begun.